Yellow Pages maintains business information listings related to Martial Arts Lessons & Schools within Canada. 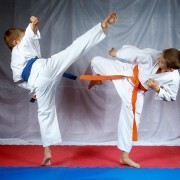 Find the best Martial Arts Lessons & Schools in your region with YP.ca’s thorough business listings directory. With Yellow Pages.ca you’ll always find just the right business anywhere in Canada.